Joy & Tan Gems Co., Ltd.
Our Products We provide the customers with top quality cut natural gemstones directly from the factories in the country. Why should you choose us 1. Quality Oriented. It is the company commitment to provide the customers only with top quality products. So, every single gemstone is best selected for you. 2. Competitive Prices. We deal directly with the gemstone factories in the country. That is why we can offer you very competitive prices. 3. Trustable. Every item of our products comes to the customers with an Identification Certificate. 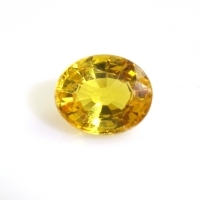 So you can be sure that you will get genuine natural gemstones from us. 4. Free Shipping Costs. We deliver every product to the customers via Air EMS Service for Free. So you will get your products in a short time with no shipping costs charged further. 5. Premium Customer Service. We are committed to provide the customers with the best customer service. No matters you place any orders with us, you must be happy dealing with us. Special Discount Promotions We have Special Discount Offers for the customers who buy 5 carats or more in one order. Buy 10 carats or more, get a discount of 5 Percent Buy 20 carats or more, get a discount of 10 Percent Buy 30 carats or more, get a discount of 15 Percent Buy 40 carats or more, get a discount of 20 Percent Payment Options We have two payment options available, Paypal and Escrow, which we consider the most convenient and safest for our customers. Packaging Every product must be in the best conditions when it reaches the customer hands. So, each gemstone item will be contained in a particularly designed container. The container will then be put in a sealed plastic bag and wrapped with air bubble sheet before putting into a good quality parcel box. Shipping We deliver every product to the customers via Air EMS Service for Free. So, you will get your products in a short time with no shipping costs charged further. Short on time? Let beryl sellers contact you. JSC "Engineering and Technology Transfer"
Beryllium ceramic, beryllium copper, tantal, niobium, lythium. Minerals ore - lead, tin, beryl. Rf shielding fields, honeycomb vent, power filter, signal filter, beryllium copper finger, wavetube. Davos Invest C. & R. Co., Ltd.
Chromium zirconium copper, beryllium copper, copper tungsten, silver tungsten. Copper concentrates & beryl ore.
Shanghai Haotong Precision Copper Tubes Co., Ltd.
Non-fluorine tp2 and t2 capillary copper tubes, brass capillary tubes, tin-phosphor bronze tubes, beryllium-copper tubes (cube2), stainless-steel tubes, etc. Registance heating wire , mgo powder, beryllium copper & heating elements. Non ferrous: beryllium, copper, qbe, alin, alsn, tao, ta1, ta2, ta, t1pd, 6al-uv, 3a1-25, v, ti-mo-ni, erti-2, erti-10, erti-12, star-2, star, snsbcu, precious metals, special alloys. Nickel & titanium alloys, beryllium copper alloys, insulation materials. Minerals, marble, granite, iron ore, coal, manganese, beryl ore.
Amethyst, citrine, talcium lumps, garnets, beryl ore lumps, raw honey. Central Metals & Alloys Ltd.